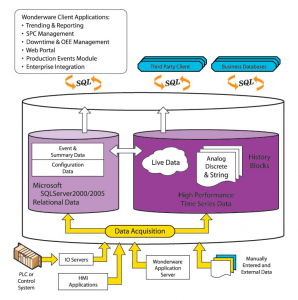 The Wonderware Historian is a high-performance real-time database for historical information. It combines the power and flexibility of a relational database with the speed and compression of a true process historian, integrating the office with the factory floor or any industrial operation. Wonderware Historian is designed to collect a wide variety of plant data, at full resolution and very high data rates, ensuring that decision-makers at all levels will have the historical information they need to drive vital productivity improvement initiatives. Wonderware Historian offers unparalleled scalability and can be configured as a single data collection and aggregation system, or as a part of a larger, tiered architecture offering the ability to implement sophisticated summary and replication systems. 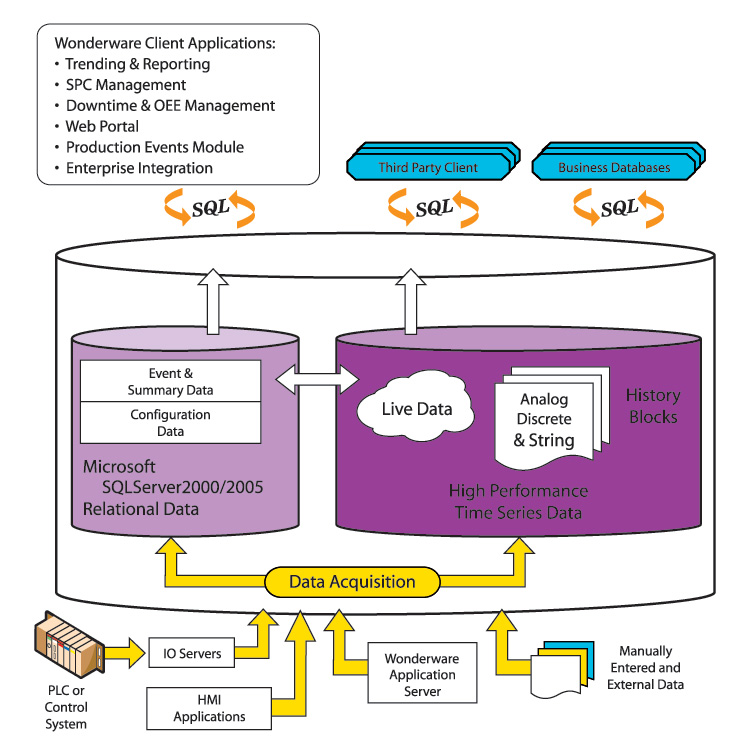 Hundreds of times faster than standard database systems and with the ability to save data in a small fraction of the space, Wonderware Historian also has built-in data retrieval modes which understand the questions you need to ask of your process to enable detailed, focused information and reports to be rapidly obtained. With the added power and versatility of Wonderware Historian Clients, accelerate your decision-making process and provide access to the right information when a problem is identified, or an opportunity uncovered. Wonderware Historian is a core component of the Wonderware System Platform.